This is the love story between a woman and her car. It has thrived for decades and shows no signs of slowing down. 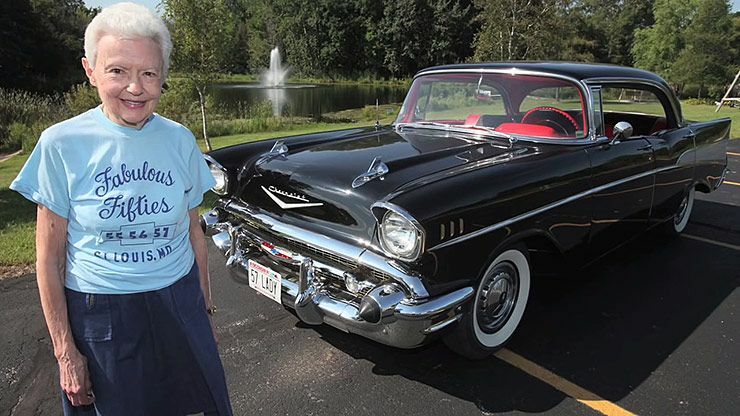 Who is this lady who may hold the record for the longest single person ownership of a ’57 Chevy, at least outside of Cuba? In 1957 Miss Grace Braeger of West Bend, was having car problems with her 1950 Chevy. So she went to King Braeger in Milwaukee so the dealer emblem on the back would match her name. “My name, of course, is Braeger, so I thought, ‘I have to go to King Braeger to buy my car,’ ” she said. 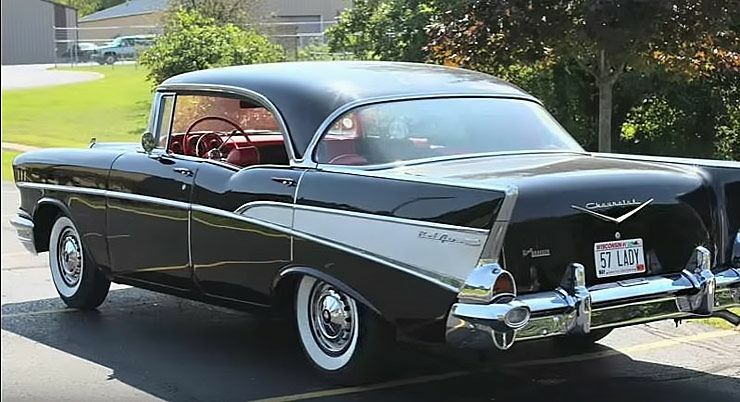 Once there, a ’57 Chevrolet Bel Air caught her eye. 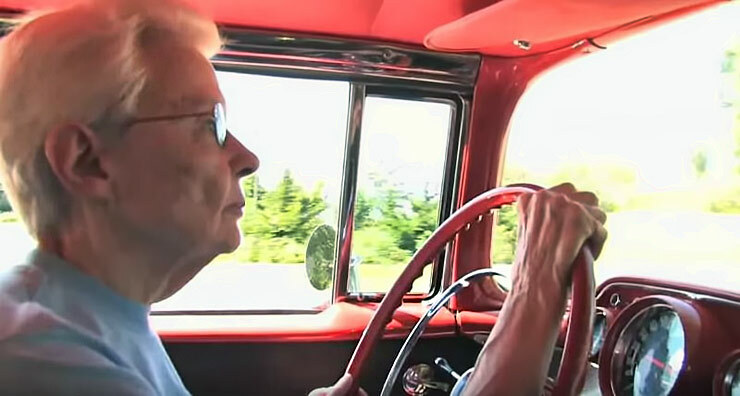 There she traded her old car, plus $2,250 dollars for a salesman’s demo 1957 Chevy with 4,239 miles on it. She hasn’t driven a single other car since then. 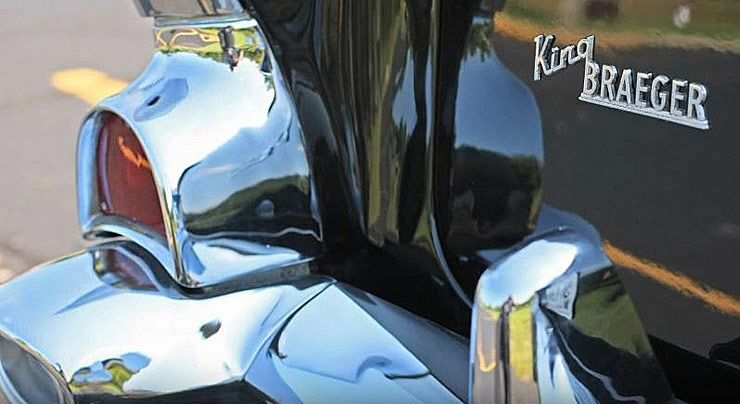 60 years ago, this Chevy was the top of the line car, since it had power brakes, power steering and a four-barrel carburetor fed the hungry V-8 engine that was the standard at the time for a luxury vehicle. In 1987 Ms. Braeger had the body restored. “The doors were taken off, the insides were removed, so the floorboards could be replaced, and the dash was taken apart so it could be repainted, and so forth,” she says. But the drivetrain went untouched. One thing that undoubtedly helped preserve the engine was oil changes every thousand miles. (In those days, a lube and oil change was standard every 2,000 miles.) In its nearly one hundred and nineteen thousand miles – slightly less than 2,000 miles a year- the engine has never had a major repair.